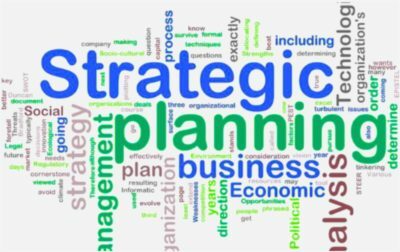 Strategic planning, the process used to define future direction and allocate the resources to pursue that direction, first became prominent in the 1960s. By 2018, countless bestsellers, extensive academic research and a wide variety of tools, templates, and processes are readily available at the click of a mouse. But has this mountain of knowledge and experience made effective strategic planning a sure bet? Has it complicated what already can be a challenging and complex process? Or could the process ultimately be simplified by tackling these three fundamental prerequisites: commitment, context, and communication? Too often the strategic planning process is more about the destination, not the journey. A team is established, deadlines are set, and the focus is a document (or binder, heaven forbid!) developed to gain requisite approvals. To successfully move an organization forward, the CEO must “own” the strategic plan, and that requires his or her active involvement and participation. If strategic planning is just an item on a crowded “to do” list with the heavy lifting relegated to a planning team, the organization will quickly perceive the CEO’s lack of commitment. Implementing the plan will be tough. On the flip side, a CEO who is truly committed to the strategic planning process will become the champion for change. The troops will be more open to understanding the upside of change, sign on for the journey, and want to contribute to the organization’s future successes. Strategic plans often focus heavily on what needs to be done, by whom, when and how. While action plans and metrics are great, without setting the context for change, the capacity to define the possibilities for a successful future becomes limited. Great strategic planners are comfortable with ambiguity. They consider problems and solutions from different perspectives. They ask the “what if” and “why not” questions, and imagine the possibilities. In doing so, they develop insights about the organization’s unique value to stakeholders, its current capacity and its ability to adapt. They evaluate potential risks and rewards to better understand what’s truly possible in a highly competitive and rapidly evolving technological environment. So it’s important to not fixate on goals, objectives and dates. Time and energy is better spent understanding the ambiguity of a new, uncertain future. With clarity around the possibilities, a direction can be defined – then it’s time to dive into specifics. Research studies consistently find that companies don’t deliver on their future potential due to failures in planning and execution. Asked what should be done to close this gap, leaders identify poor communications as the most critical priority often overlooked or poorly executed. There’s a myriad of reasons that organizations fall short in effectively communicating decisions related to their strategic planning initiatives. Here’s a helpful list of ‘tried-and-true’ approaches that can make a real difference. Develop a compelling story: in simple words, describe the rationale for change, the benefits for all, and the urgency to move forward. Then enlist support from the entire team to create momentum. Use meaningful metaphors: for example, a rowing analogy effectively portrays a team working in unison, pulling together towards a shared goal. Build on core themes: align communication initiatives to key themes that link day-to-day activities to the desired future direction. These could be competition, innovation, regulation, or customer delight – whichever themes will focus organizational energy and activities on the right outcomes. Repeat, repeat, repeat: while it may become like a broken record, consistent messaging is essential to break through today’s information clutter. Use every medium to communicate strategic initiatives and the progress underway. Reinforce messaging by linking operational and corporate programs to achieving the strategic direction. Strategic planning impacts an organization’s social and emotional environment. People will be expected to step out of their comfort zones. How can we best to engage them to bring strategic plans to life and achieve timely, meaningful results? By demonstrating steadfast leadership commitment. By establishing a stimulating context that propels change, creates excitement and describes opportunities for all. By sharing consistent, upbeat, and enduring communications, to ensure stakeholders enthusiastically invest in the future, despite uncertain outcomes. There is no doubt that strategic planning is a complex, multifaceted and challenging process. By focusing on these fundamental elements, your organization will be well positioned to move forward towards an inspiring and rewarding future. Our people have extensive experience in all facets of strategic planning for small, medium and large private and not-for-profit organizations. Give us a call if you like to find out more or discuss improvements to your organization’s approach to strategic planning.